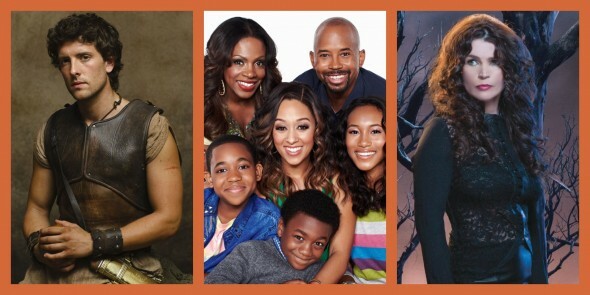 FOX has switched up some of their plans for early 2014 and that means changes for Glee, The Mindy Project, Dads, Brooklyn Nine-Nine, The Following and Rake. MTV has decided to drop Nikki & Sara Live after two seasons and MSNBC has had enough of Up Late with Alec Baldwin after five episodes. Meanwhile, Nickelodeon wants a lot more of their new Instant Mom sitcom and Lifetime has renewed Witches of East End for a second season. BBC America has picked up Atlantis for a second season as well. And, it looks like Last Call with Carson Daly will stay on the schedule — at least for the next few months. Syfy has announced the 2014 premieres of several of their original TV series, including Helix, Bitten, Being Human, and Lost Girl. And, ABC Family has announced that their popular sitcoms, Melissa & Joey and Baby Daddy, are returning for special holiday episodes and then will be back in the new year with a lot more episodes.